Today, on the mezzanine level of the Frangiorgio Hotel in downtown Larnaka, Dr. Pettegrew and Dr. Caraher gave a morning briefing and presentation to orient the raw group of archaeological students charged with excavating (the fancy word for “codified digging”) and labeling data from the 2012 PKAP site. 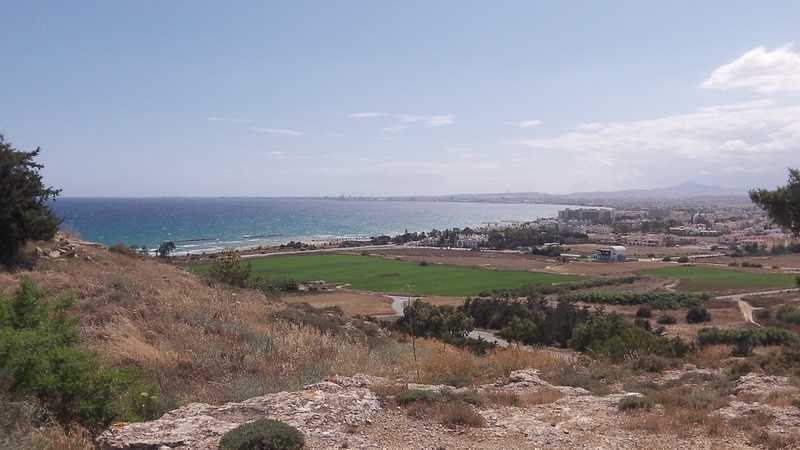 The excavation is going to take place on top of a plateau that overlooks the southern coast of Cyprus, and this is not too far east of Larnaka. I am one of the three trench supervisors (a type of middle management position for you MBA types) on the project, and it will be my job to oversee the standardization necessary to carry out solid data collection. View to the west-southwest from the site. Larnaka, Cyprus is in the distance. The research question is pretty straight-forward: we are building off of previous questions and answers (which invariably generates more questions and answers), and in the case of this 2012 archaeological season, we will dig down to a fortification site that dates to about the 4th and 3rd centuries BCE, this being the Hellenistic period which, to be sure, was a turbulent time in world history. 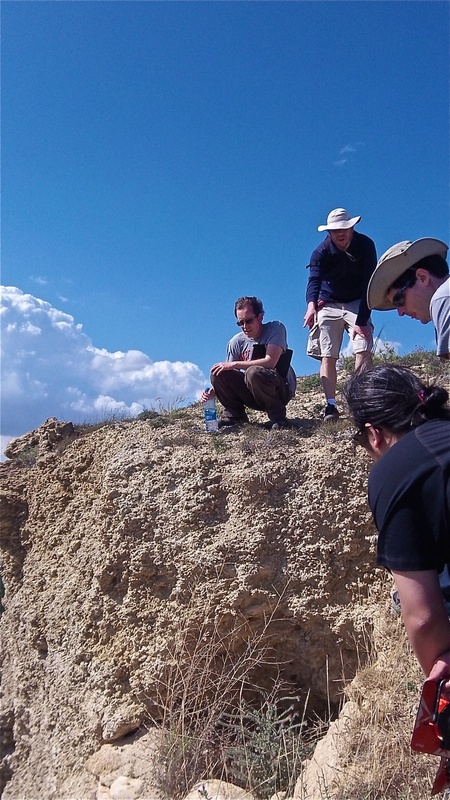 Prologue to excavation. Dr. Caraher explains where he wants Team Crowley to dig on the side of this cliff here. archaeological fieldwork 21st century’ers indeed feel the thin layers of dust; and we often require a shower). And soldiers also would have thought about the important moments intrinsic to living life day-to-day, hour-to-hour. Did the soldiers have families nearby? What sort of conversations did they have with others? Who knows: in many ways, historical fiction needs to take over from here. During the Pettegrew & Caraher presentation, I couldn’t also help but think how the artifacts that we will collect and analyze are some of the few if only imprints the individual human beings who created them left on this section of the planet. They are reflections from the past, and we are charged with uncovering them, collecting, analyzing and scrutinizing them, pulling material culture from that past for us in the present to think on, and so on and so forth. Gotta run. But read up on these sites, and physically visit them as well. Herodotus would want it that way. This entry was posted on Monday, May 21st, 2012 at 5:46 am	and posted in Uncategorized. You can follow any responses to this entry through the RSS 2.0 feed.